I am involved in the collaborative specialization at the Centre for Environment and Sustainability. 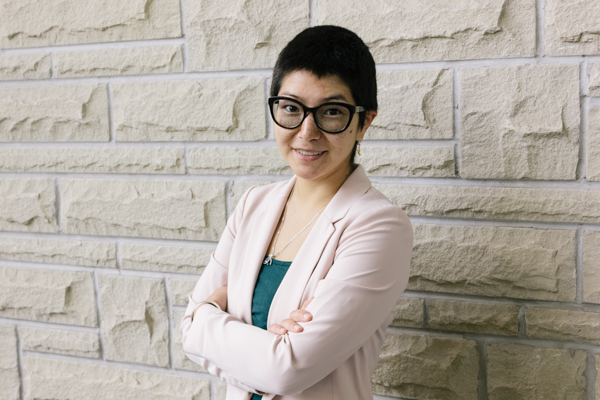 This specialization has given me the opportunity to get involved in different initiatives at Western and provides a platform for open interdisciplinary discussion and exchanging ideas related to environment and sustainability. Research is great, but have something else besides your research that interests you. Sometimes research doesn’t go as you plan, there will be challenging times and it can get stressful. It is great when you have something else in your life to focus your attention on during these difficult times. Doing this usually gives me a break from research and I can come up with some new ideas or a refreshed mindset. I spend most of my time in the graduate office where I have the equipment needed to do my research. I like the environment in the graduate office, you feel like you’re with your second family. Be active! With everything in life, the satisfaction from the program depends on what you put in to it. Participate in class, share your ideas, get to know people, be involved, be open, try different things and see what you like best and dedicate yourself to that activity. The Collaborative Specialization in Environment and Sustainability is an enrichment specialization designed for current graduate students at Western (in MSc/MA/MESc or PhD programs) who wish to become specialists in specific aspects of environment and sustainability, and who also wish to gain an appreciation of the interdisciplinary nature of environmental problems and solutions. The Collaborative Specialization does not provide additional funding beyond what the student receives through their home department. Collaborative Specialization scholarship and travel awards are available on an annual basis. Current enrollment in a thesis-based graduate program at Western University. Student must be in good academic standing in their home department. Student must be within the first year of study in the home department program. Permission of home department supervisor to participate in the Collaborative Specialization. Students must be completing research in the home department that is relatable or has definable impact on the study of environment and sustainability, as identified and defined by the student. Submission of an Environment and Sustainability application (internal document) within first two weeks of every term (September, January, May). Acceptance notification will follow within the same month the application is submitted.